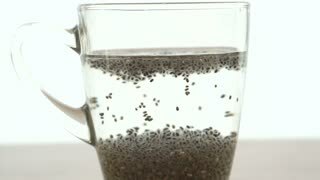 Search Results for "chia seeds"
Healthy Chia seeds in glass jar close-up. Healthy Chia seeds with chia letters close-up. Healthy Chia seeds with chia sign close-up. Healthy Chia seeds with chia chalk sign close-up. Baked puffy cheese sticks with caraway seeds, poppy seeds, chia seeds and salt. Looped. 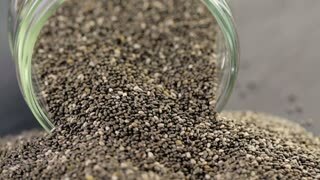 Macro shot of Chia seeds sliding down the side of a heaped pile as more is clearly being dropped on the top. Preparation of a milkshake, smoothies from strawberries, cream, chia seeds. Turn on the mixer and a sharp splash of cocktail from the bowl. Top view. Full HD video, 240fps,1080p. Slow motion.